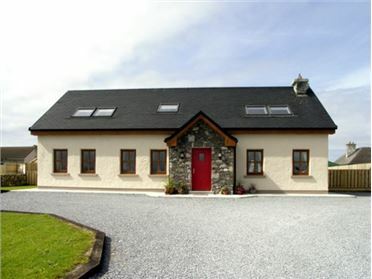 Architect House is a spacious detached property in a rural setting two miles from Ballyferriter on the Dingle Peninsula. 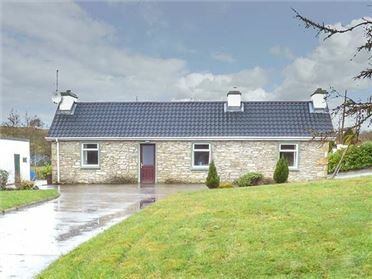 The property has a lovely open plan living area along with two further sitting areas. 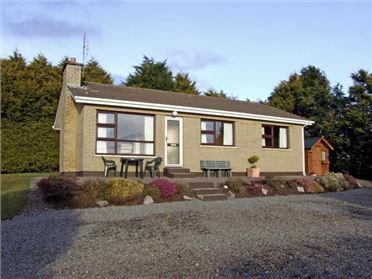 There are four bedrooms, two with en-suites, and two bathrooms and a wet room at the property, while outside, there is off road parking for four cars, along with an enclosed lawned garden with patio and furniture. Architect House makes a wonderful base for a group to enjoy this lovely area, from mountain walks and boat trips to the Blasket islands to lazy afternoons in traditional Irish pubs. Four bedrooms: 2 x ground floor double with en-suite shower, basin and WC, 1 x ground floor twin, 1 x family room with 1 double and 1 single. Two bathrooms with bath, shower over, basin and WC (one ground floor). Ground floor wet room with walk-in shower. Open plan living area with kitchen, dining area and sitting area with open fire. Utility. First floor sitting room. First floor mezzanine area with sofa bed and table football. Oil central heating with open fire. 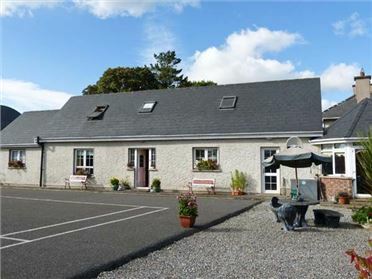 Electric oven and hob, microwave, fridge, freezer, washing machine, tumble dryer, dishwasher, TV with Saorview, DVD. Fuel, power and starter pack for fire inc. in rent. Bed linen and towels inc. in rent. Off road parking for 4 cars. Enclosed lawned garden with patio and furniture. Sorry, no pets and no smoking. Shop and pub 3 miles. Note: Stream and bridge at bottom of driveway, children to be supervised. Note: Max. 9 people. Note: No stag/hen parties, or similar.